Um dos efeitos colaterais do novo modelo de saúde democrata agora implementado nos Estados Unidos – conhecido como Obamacare – é o aumento da quantidade de pacientes à procura de atenção médica, potencializando um fenômeno que tem se agravado nos últimos anos: a gradativa redução do número de profissionais em atividade. Isso se deve ao envelhecimento dos médicos e ao maior interesse por outras profissões, o que ocasiona uma diminuição no acesso à carreira. Isso ocorre também com os dentistas, justificando a destinação de recursos significativos, pelo Obamacare, para custear projetos acadêmicos destinados a experimentar novos tipos de profissionais, quem sabe rompendo, no futuro, a reserva de mercado que as atuais profissões da área da saúde usufruem. Não é, evidentemente, a mesma situação vivida no Brasil, onde o que hoje se observa – crescente pressão da população por atenção médica – tem causas e efeitos bem distintas. Aqui, por um lado, tem havido expansão constante do número de faculdades e de médicos e, por outro lado, o aumento da procura se deve a que os Planos de Saúde – o chamado subsistema suplementar – cada vez ocupam mais espaço na preferência dos consumidores. A escassez de oferta de médicos e de outros profissionais em lugares distantes e economicamente deprimidos não é uma especificidade do Brasil ou da América Latina. Como se vê no excelente texto de Danielle Ofri – Lots os new patients, too few doctors – publicado pelo New York Times de 16/01/2014, é cada vez mais igualmente uma realidade para os norte-americanos. Leia Mais. Unfortunately, my patient is not alone in her struggles. It is increasingly difficult for patients to find doctors and to get appointments with primary care physicians like myself, and it is likely to get worse, not better, as millions more gain health insurance under the Affordable Care Act. The medical field has long been fretting about an upcoming doctor shortage. The aging of baby boomers already worried medical planners before changes to health care took a front seat, especially because so many doctors themselves are boomers and they will be aging (and retiring) at the same time. Add in the trend of medical students choosing sub-specialties over primary care, and now finding a doctor and getting an appointment can rival finding a parking space in midtown Manhattan. Of course, much of the doctor shortage has to do with mismatched allocation of doctors — both with regard to geography and to specialty. In places like Boston or New York, you can’t walk down some blocks without tripping over a dozen dermatologists. And in many urban areas, multispecialty practices that take up entire floors of office buildings and freestanding M.R.I. facilities are nearly as common as Starbucks. But for vast swathes of rural and small-town America and in poorer urban neighborhoods, many kinds of doctors can be hard to come by. Primary care is difficult to access, and specialty care requires complex, lengthy and expensive arrangements. Six states do not have their own medical schools — and the university hospitals and faculty practices that come with them. The worsening shortfall of doctors in years ahead will affect these communities disproportionately. A recent special issue of Academic Medicine is devoted entirely to the challenge of matching the physician workforce to the needs of the patient population. The estimates of doctor shortages in the next 15 years range from 50,000 to more than 150,000. Whichever number turns out to be true, there will be legions of patients whose health will suffer. What are some of the ways this crisis is being approached? The first is to increase the number of doctors. Since 2000, a dozen new allopathic medical schools have opened, along with more than a dozen osteopathic medical schools. These should supply a steady new crop of medical graduates. Unfortunately, these new graduates will face a bottleneck when it comes to the residency training that is required for medical licensing. Residency programs have not been able to keep pace with the number of graduates because of a complicated relationship to Medicare and Congressional funding. There’s been a cap on federal financing since 1997 that has limited the ability for programs to increase their residency slots. The medical field is trying to become more creative in making additional medical practitioners available. There are plans for shortened or more flexible tracks in medical school, as well as thoughts about shortening residencies from their current three- to seven-year-length. The shortage is also being addressed with physician assistants and nurse practitioners whose training time is shorter. Delaying retirement of older doctors could expand the pool of practicing physicians as well as those available for teaching and mentoring. Then there are ideas about making doctors more efficient, so that they could focus more on patients, and less on paperwork and administrative hassles. Primary care teams have the potential to allow doctors to see more patients, if the teams are effectively created, with care managers, nurses, nutritionists, social workers and psychologists. Flexible models of health care delivery — telephone visits, visiting nurse services, group visits — all have the potential to give good medical care in a more efficient manner. And electronic medical record systems could, and should, be smoothed out to allow doctors to spend their time with patients instead of computers. Lastly, places like New York, Boston and Philadelphia train a lion’s share of the nation’s physicians but certainly don’t need all the doctors they produce. Unlike most other countries, the United States does not have a unified system for considering its distribution of medical resources. Indeed,many of the new medical schools — and increases in class size in existing medical schools — occurred in areas of the country that are already awash in doctors. American medical school graduates continue to move away from primary care fields — internal medicine, family medicine, pediatrics, OB-GYN, and geriatrics — in favor of specialties. And more than half of those who train in internal medicine go on to sub-specialty fellowships like cardiology, gastroenterology and rheumatology rather than primary care internal medicine. Medical students in the United States are free to choose whatever field they like and practice medicine wherever they’d like. For many, this is the beauty of our system, and certainly international medical graduates flock here for training and employment. But it can also be seen as an example of American short-sightedness, a willingness to let free-market forces rather than the needs of the patient population determine the distribution of medical resources. The American public foots the bill for much of graduate medical education, and is also on the receiving end of the subsequent medical care, so skin in the game certainly isn’t an issue. The question is how much we, as a society, wish to confront the ingrained traditions of American medicine. And how much we, as doctors, are willing to look critically at how we care for the American public. The Affordable Care Act didn’t create these questions, but it surely has given them new urgency. The long-overdue entrance of millions of Americans into the medical fold is a cause for celebration, both for the proper medical care that it can now allow, and for the challenges it is forcing us to confront. 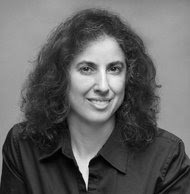 Danielle Ofri’s newest book is ”What Doctors Feel: How Emotions Affect the Practice of Medicine.” She is a physician at Bellevue Hospital and an associate professor of medicine at N.Y.U. School of Medicine. She is also editor-in-chief of the Bellevue Literary Review. Armas químicas podem ser destruídas na Síria?